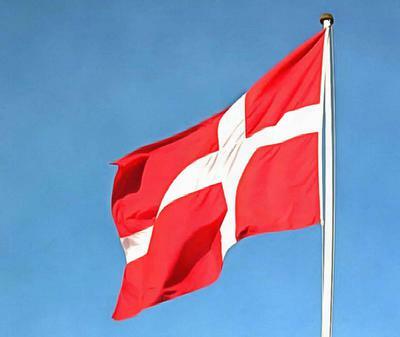 Danish flag news - Interesting Facts. The danish flag in denmark should always be higher up if displayd with other countries. We have 2 different colored flags the red and red bloody colored for use on ships, said this color was develop to not show blood on ships fighting. The splitflag of denmark is free of use on all danish boat, I dont no other countries allow this, as it is the form for naval ship flags.